Christina McCall started at Maclean’s in 1956, when writers like Pierre Berton, Peter Gzowski, and Peter C. Newman (whom she later married) roamed the halls. In the world of Canadian magazines, they were celebrities, she a lowly secretary with a degree in English from Victoria College at the University of Toronto. Twenty-five years later, having established herself at Saturday Night, the Globe and Mail, and Maclean’s as a virtuoso of what we now call literary non-fiction, she wrote Grits: An Intimate Portrait of the Liberal Party, which set a new standard for political journalism in Canada. Nor was she a one-hit wonder. With her second husband, political science professor Stephen Clarkson, she went on to write a seminal two-volume biography of Pierre Elliott Trudeau, Trudeau and Our Times: The Magnificent Obsession (which won a Governor General’s Award) and Trudeau and Our Times: The Heroic Delusion. The Liberal Party was Christina McCall’s subject, although by the time she died in 2005 a competing claim had been staked by Ron Graham, whose assessment of Michael Ignatieff appears in this issue (“The Stranger Within”). Graham began his career as an academic. After graduating from McGill and Carleton’s Institute of Canadian Studies, he taught history in Montreal. But journalism called, first at CBC, where he worked as a producer on The Canadian Establishment, a documentary series based on Peter C. Newman’s bestselling book of the same name, and then at Saturday Night, where in the early 1980s he reinvented himself as a writer, producing luminous profiles of, among others, the proudly populist Jean Chrétien, the star-crossed Joe Clark, and the soon-to-be-doomed John Turner. Graham inevitably graduated to books, and in 1986 he parlayed these political portraits into One-Eyed Kings: Promise and Illusion in Canadian Politics, which some people still regard as the best book ever written about Canadian politics, Grits notwithstanding. One-Eyed Kings examined the tenures of that decade’s four prime ministers, Trudeau, Clark, Turner, and Brian Mulroney, showing how each was shaped by values that subordinate party and policies. In 1995, he wrote a much-anticipated sequel, All the King’s Horses: Politics Among the Ruins, which looked askance at Canadian politics in the Mulroney-Chrétien years. In between, he published two non-political books: The French Quarter, a portrait of Quebec disguised as a family history; and God’s Dominion, which examined the role of organized religion in Canadian society. But politics—especially Liberal Party politics—was now his subject, too. In addition to his own books, he ghostwrote memoirs for Jean Chrétien (Straight from the Heart and My Years As Prime Minister) and Pierre Trudeau (The Essential Trudeau). The latter was preceded by a CBC television documentary for which he served as the English-language interviewer. 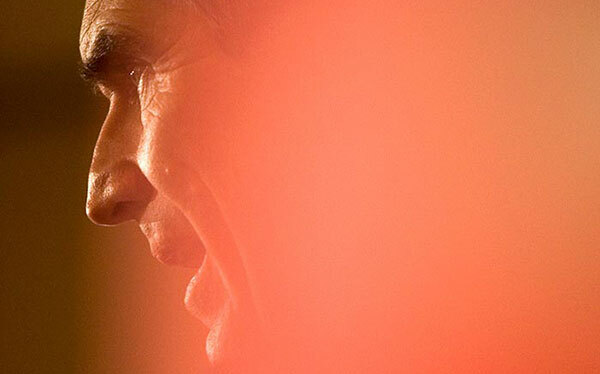 Is Michael Ignatieff that person? He and the people who recruited him think so. But Graham, who has made the study of Canadian politicians a life’s work, is less certain. As his piece suggests, winning the next election—which only a few months ago seemed within the realm of possibility for the new Liberal leader—now appears to be an uphill battle.